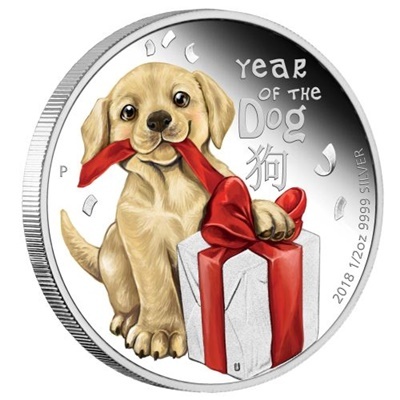 This adorable baby dog coin celebrates the Year of the Dog. 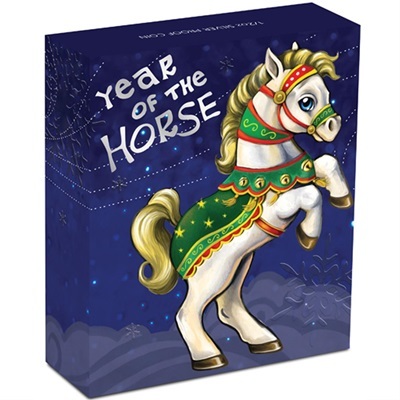 The birth dates for people ruled by the Chinese Lunar dog include 1922, 1934, 1946, 1958, 1970, 1982, 1994, 2006 and 2018. Those born under this sign are said to be loyal, amiable, kind and friendly. This is a beautiful keepsake for babies born in 2018. Proof Quality 99.99% Pure Silver. Each coin is struck from 1/2oz of 99.99% pure silver in proof quality. 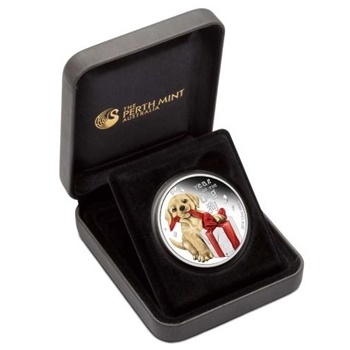 Beautiful Coloured Design - The coin’s reverse depicts a colour representation of a labrador puppy opening a present. 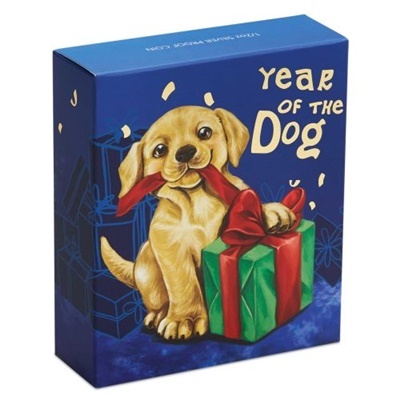 The Chinese character for ‘dog’, the inscription ‘Year of the Dog’, The Perth Mint’s ‘P’ mintmark, and the 2018 year-date are also incorporated into the design. 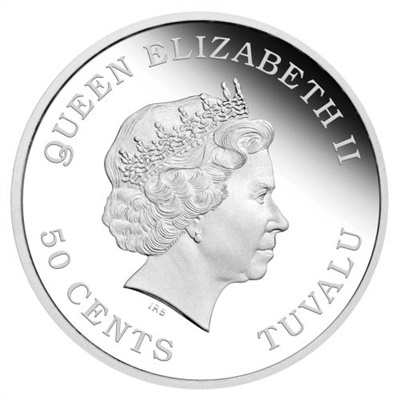 The coin is issued as legal tender under the authority of the Government of Tuvalu and depicts the Ian Rank-Broadley effigy of Her Majesty Queen Elizabeth II and the monetary denomination. Limited Mintage - The Perth Mint will release no more than 7,500 of the Baby Dog 2018 1/2oz Silver Proof Coin. Presentation Packaging and Numbered Certificate - Each coin is housed in a presentation case with a beautifully illustrated shipper and is accompanied by a numbered Certificate of Authenticity.